Vancouver, B.C. — Happy kids mean happy families, and that’s why the BC government has provided $1.49 million to the Canadian Mental Health Association, BC Division (CMHA BC) to support the ‘Confident Parents: Thriving Kids’ program, which helps parents address behavioural problems in kids aged three to 12. Each child and family is unique; ‘Confident Parents: Thriving Kids’ is customized for each family to empower parents to be the main change agent for their children’s behaviour. The program is offered at no cost to BC families, and coaches are available to meet by telephone with parents during the day, and on evenings and weekends to accommodate each family’s busy schedule. More than 1,000 BC families accessed the program last year, with encouraging results. Parents noted improvements in their child’s behaviour, including increased cooperation, understanding and positive interaction with family, friends and teachers. The benefits of ‘Confident Parents: Thriving Kids’ aren’t just for kids—parents also report increased confidence in their own response to behavioural issues, as well as happier, healthier family interactions. With the help of the provincial government, CMHA has been delivering positive parent training for families since 2011. 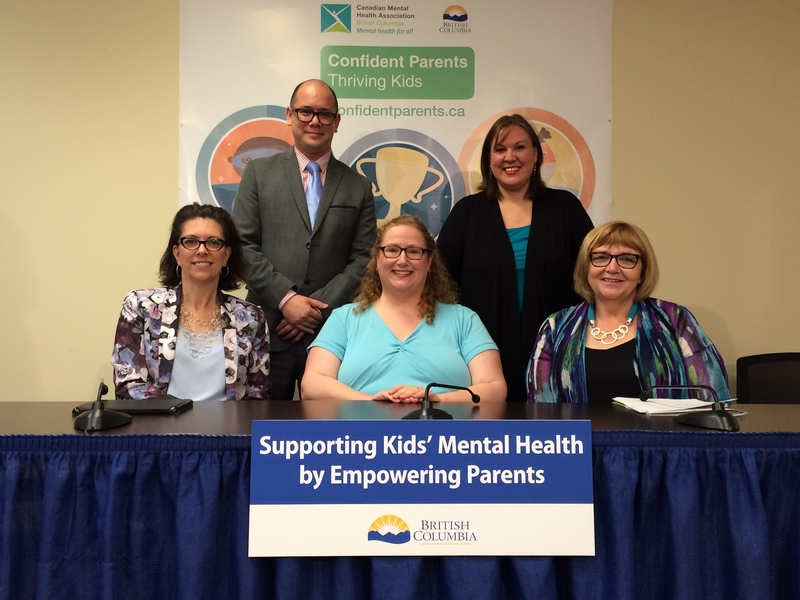 ‘Confident Parents: Thriving Kids’ will use this new funding to reach more BC families in all corners of the province and ensure that they continue to have early access to supports proven to prevent, reduce and reverse moderate behavioural problems at home, school and in social settings. Parents looking for new ways to improve their parenting skills or address behavioural issues can request a referral for ‘Confident Parents: Thriving Kids’ through their family physician or nurse practitioner. “This program has had a very positive impact on the children and families that have completed it. Parents who have come in physically, mentally and emotionally drained have told me they enjoy being parents again after completing the program. I am very thankful for this program. It is one of the main tools in my toolbox when I am referred children with problem behaviours. Rather than ‘fixing’ the child, this program enables parents to guide their children to better behaviour. ‘Confident Parents: Thriving Kids’is delivered by telephone during the day, as well as evenings and weekends, to accommodate the reality of busy work and school schedules. Parents can be referred to the program through their family physician or nurse practitioner. The program is delivered in six-, 10- and 14-week modules depending on the needs of each family. Since the program began in 2015, there have been more than 1,585 program referrals by 408 different physicians in 78 communities throughout B.C. Four out of five parent participants have seen an improvement in their child’s behaviour and report increased confidence in their parenting and coping skills. Based on a strong, evidence-based model, the program is expected to help reduce future costs to B.C.’s health care, education and the criminal justice systems through early intervention.